The American Kestrel (Falco sparverius) is a wide-ranging bird of prey which feeds on small mammals and birds and insects. 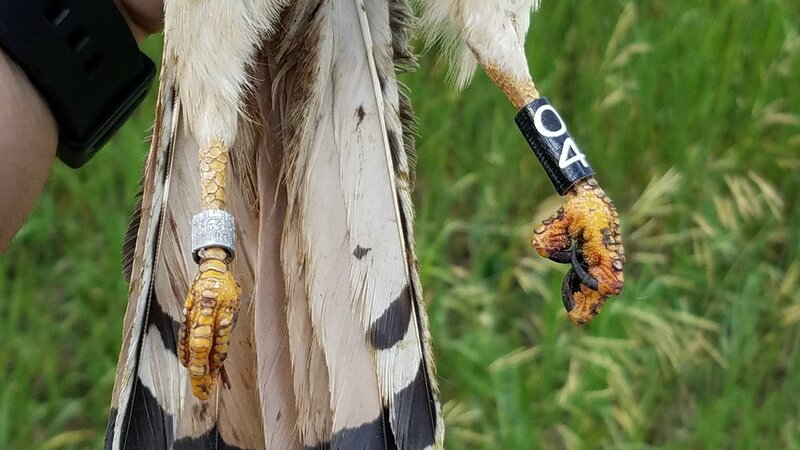 It is one of the most colorful and ubiquitous of North American raptors. 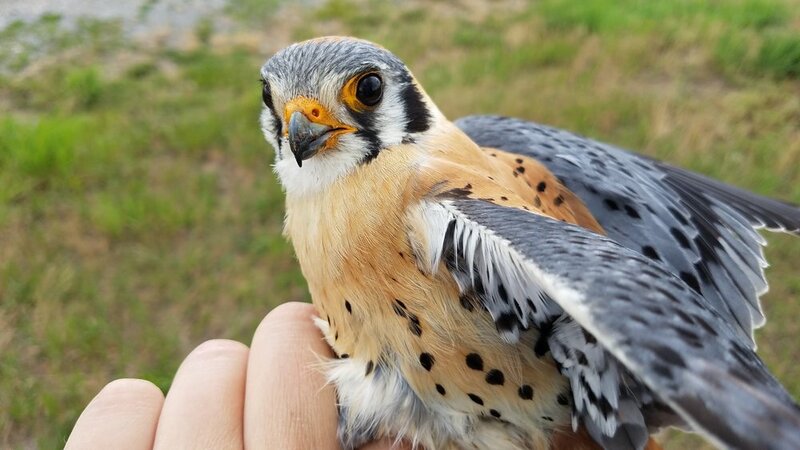 Unfortunately American Kestrel numbers have been declining at an alarming rate across North America from factors including predation, climate change, habitat loss and degradation and West Nile Virus. 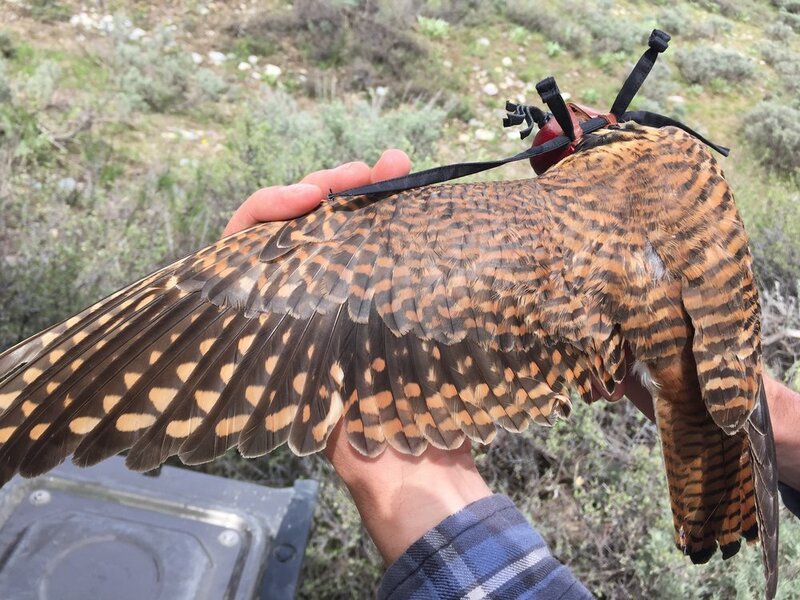 In Wyoming, Breeding Bird Survey data show declines in western Wyoming and at the statewide scale. 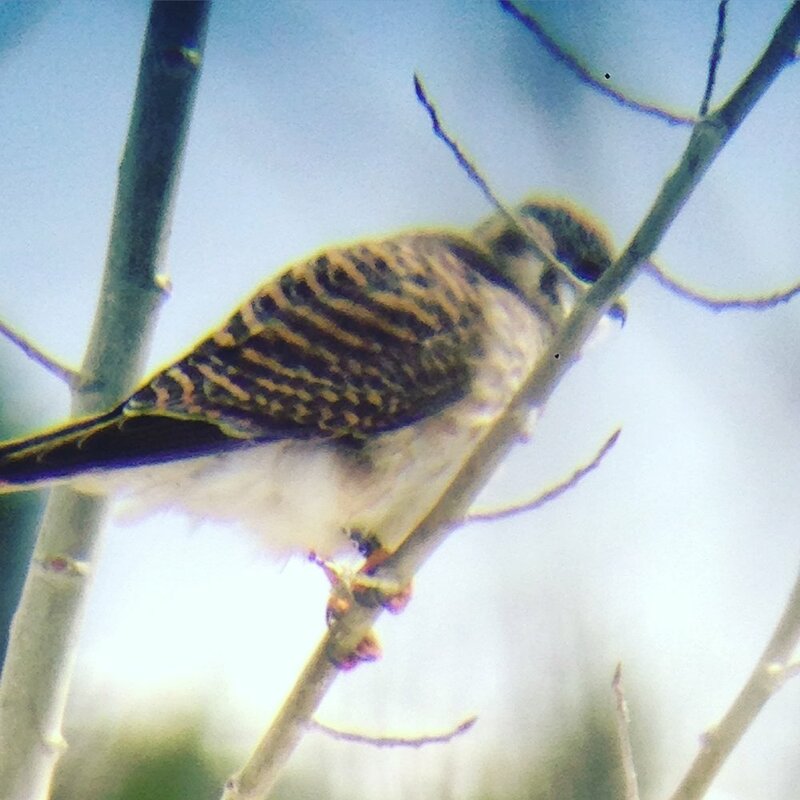 Because of the apparent declines, American Kestrels are now considered a species of conservation concern in the state of Wyoming. 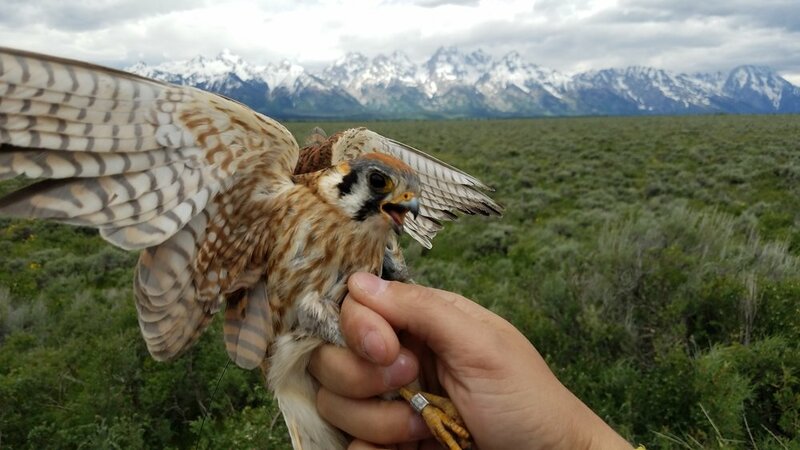 In response to long-term population declines of kestrels in our region, Craighead Beringia South initiated a multi-year and multi-faceted project in 2015 with the goal of maintaining or increasing the population of American Kestrels in the Jackson Hole area. Our project has three main categories which include 1) Monitoring, 2) Research, and 3) Education. 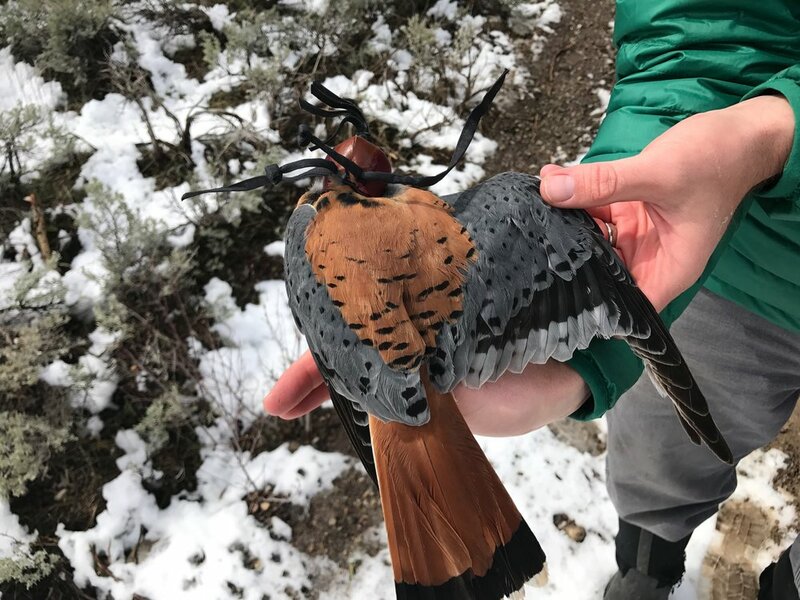 We will use known kestrel nest sites and territories for our project but also plan on making a large push to increase the number of kestrel nest boxes in Teton County. 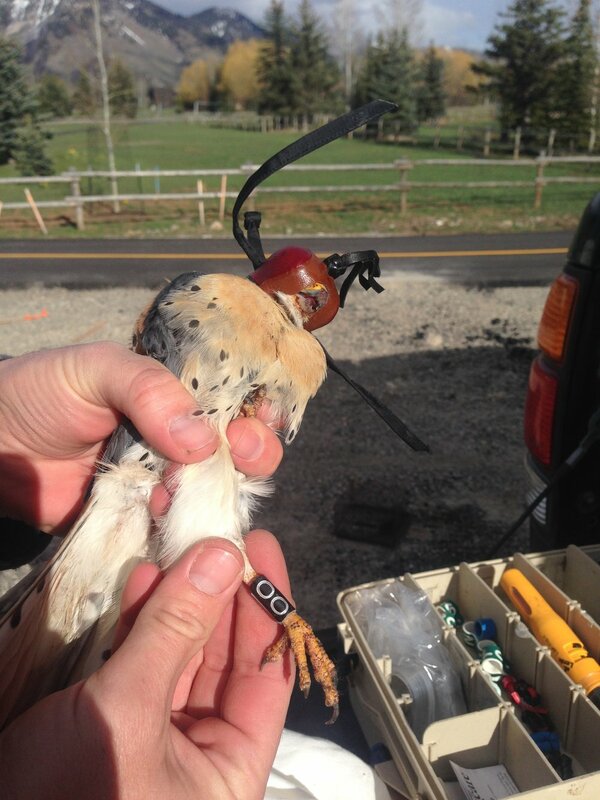 American Kestrels do not build a nest and instead rely on cavities excavated by primary cavity nesting birds. Luckily, American Kestrels readily take to nest boxes which offer the potential to increase the ease of monitoring, create sample sizes necessary to answer our research questions of interest and allow community members to take an active role in conservation by placing nest boxes on their property and assisting researchers with data collection. 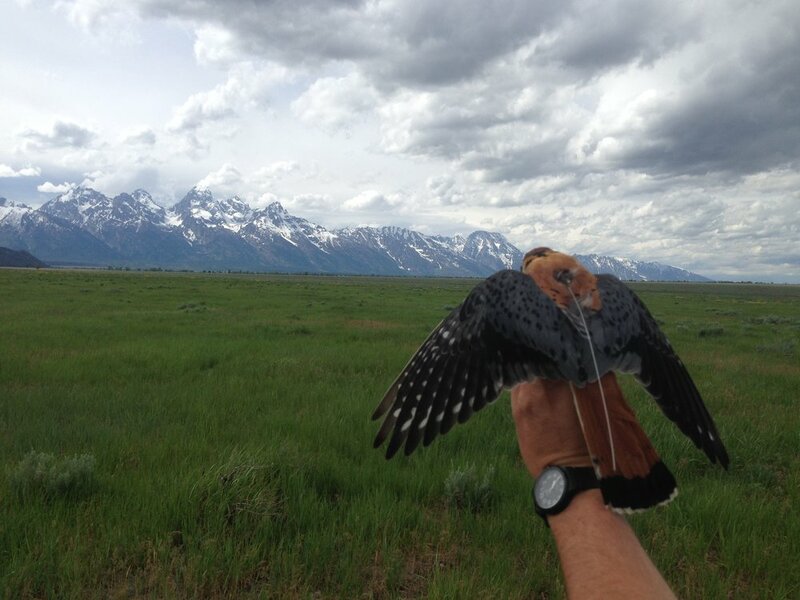 By taking a multi-faceted approach to this project, CBS will provide information on abundance and productivity trends of American Kestrel breeding in Jackson Hole, identification of factors that predict presence and reproductive success of the species locally, and engage and inform community members on conservation of the American Kestrel and wildlife conservation issues broadly. 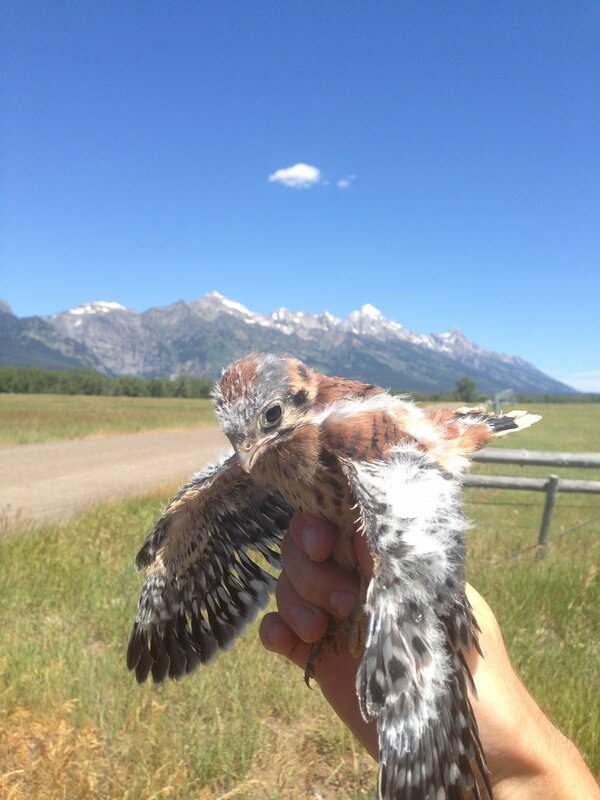 If you have property in Jackson Hole and are interested in housing a kestrel box or if you already have a kestrel box and would like to add it to our study, please contact Ross at (307) 734-0581 or ross@beringiasouth.org.